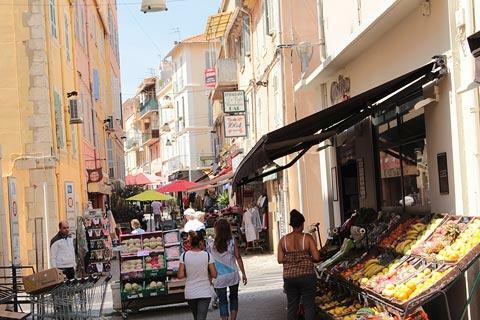 Bandol is a popular coastal town and wine growing region in the western part of the Cote d'Azur and to the west of Toulon. 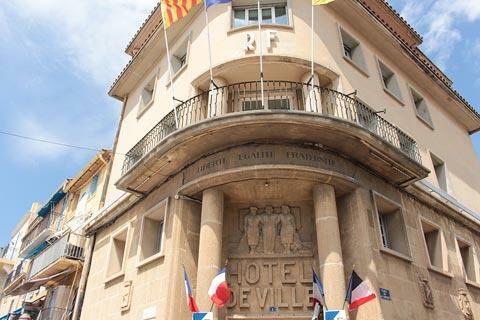 As a tourist destination, Bandol is not a newcomer to the scene: Thomas Mann, Aldous Huxley, Marcel Pagnol, and D.H. Lawrence all spent time here. 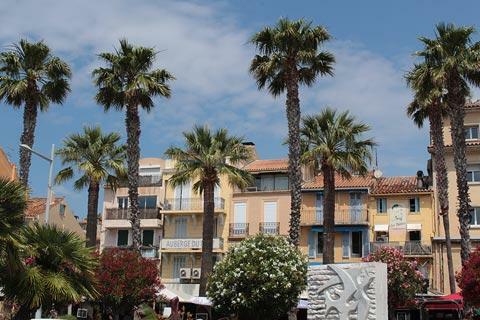 Your visit to Bandol will start with a promenade around the harbour, an attractive palm-tree lined walk backed by some lovely pastel painted houses. 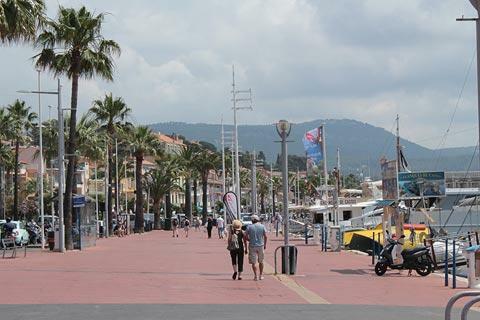 Around the port in Bandol there are also several bars and restaurants as well as a casino. 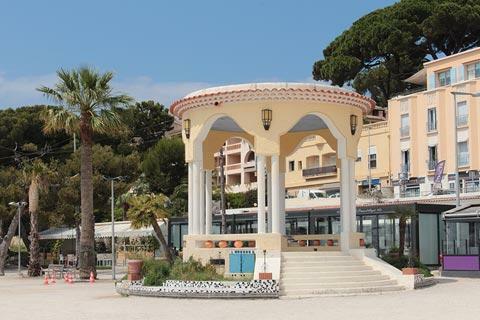 At the west of the harbour you can also visit the Bandol tourist office and see the town kiosk. 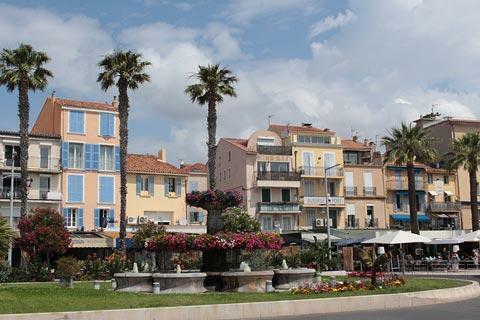 The centre of the traditional village of Bandol is around a square called the Place de l'Europe immediately behind the promenade. 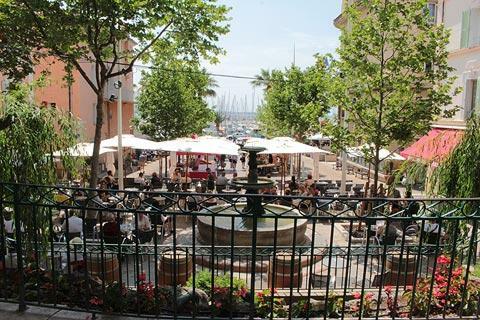 This square is actually a series of three squares separated by raised terraces where a large fountain, shady plane trees and lively cafes combine with the view across the harbour to make a very attractive traditional Provencal square. 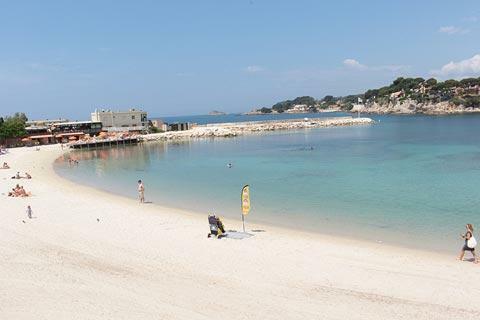 Beach enthusiasts will be pleased to know there is a wide choice of beaches in Bandol, including several sandy beaches in the town itself as well as smaller rocky bays and creeks, mostly reached by following the coast path a short distance. 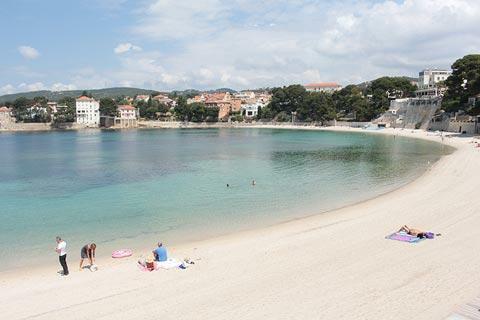 The sandy beaches in the centre of Bandol are the most popular and can become quite crowded in the summer. The Anse de Renécros is a lovely circular beach that is just west of the centre and almost completely enclosed, so waves are quite calm. Most of the sandy beaches are east of the centre and include Plage Centrale, Plage du Casino and Plage du Grand Vallat while the smaller rocky beaches are to the west - favourites include the Plage Eden Roc, Plage l'Anglais and the Plage des Engraviers. We especially liked the position and view from the Plage l'Anglaise but it did involve a walk to reach the beach from Plage Capelan. 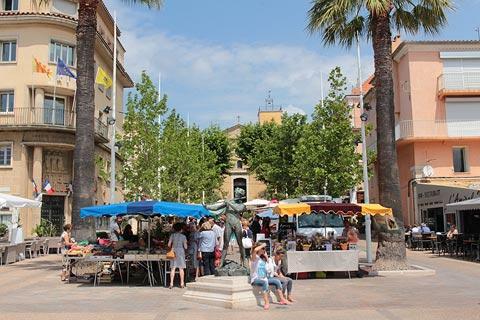 A popular trip from Bandol is to visit the island of Bendor, just a short distance away (about 7 minutes by boat) and which also has beaches and restaurants, a nice promenade around the island and a wine museum. No visit to Bandol would be complete without sampling the local wines! The vineyards that you will see around the town provide the grapes to produce one of the most prestigious wines in France. The strong reds and especially the rosés are the best known of the Bandol wines but white wines are also produced. In part this high reputation is due to the use of the Mourvèdre grape which grows around Bandol but very few other places in France: it is said to be difficult to grow and demands very specific conditions of soil and sunshine. 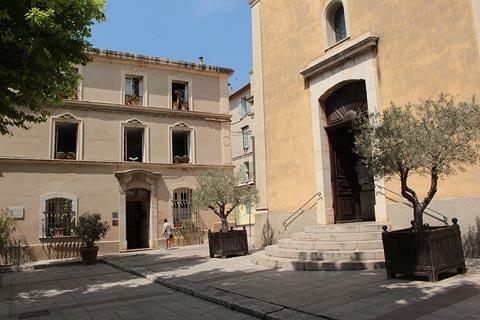 There are at least 50 wine producers that can be visited in the hills to the north of the town, and the tourist office in Bandol can provide you with a map and the addresses of many of these. Beach lovers can enjoy a leisurely change of scenery from day-to-day between the busy beaches of Bandol and those of Sanary-sur-Mer slightly to the east, and more down-to-earth Saint-Cyr-sur-Mer slightly to the west. There are many small villages in the Bandol area that are worthy of a look around including Cadière and Castellet to the north of here. 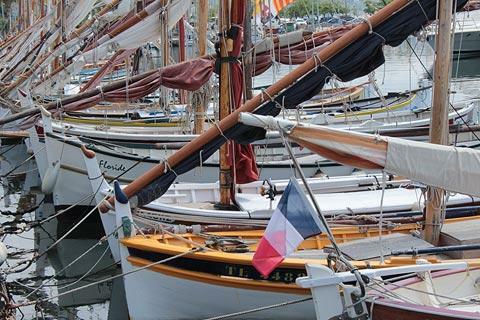 A visit to Bandol should also include a visit to the city of Toulon where Jacques Cousteau set out on a lifelong exploration of the sea and where the military traditions of the sea are everywhere evident. Visitors arriving by boat are within a close sail of the magnificent white chalk calanques along the coastline between here and the port of Marseille some fifty kilometers to the west.